Rebecca Boyer never had her career path all mapped out. Her journey to managing partner of her own firm, SLR Executive Services LLC, included a series of steps into the unknown, where she could never be certain she was making the right decision. 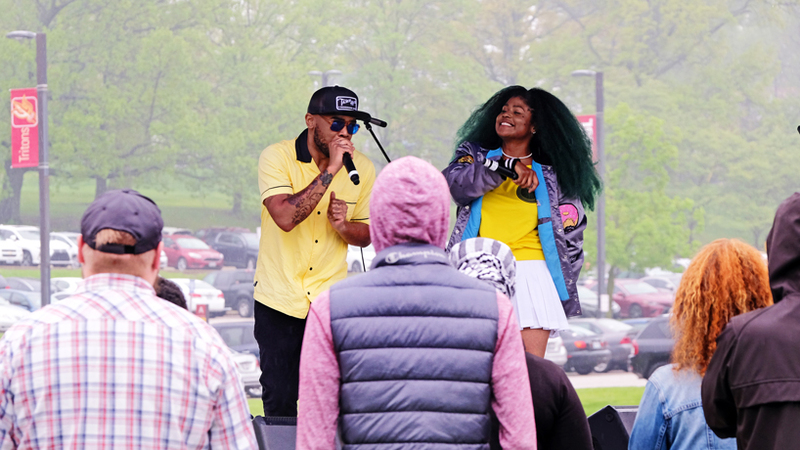 But buoyed by a work ethic she started developing as a 15-year-old at KFC and bolstered by a BS in accounting she earned at the University of Missouri–St. Louis in 1997 and later an executive MBA from Washington University in St. Louis, Boyer has always come out ahead. She worked for CPA firm BKD, was controller of Handling & Storage Concepts, senior accountant and later CFO of The Jones Company and spent 14 years as vice president and CFO of KellyMitchell Group, Inc., before launching SLR Executive Services last year. She was named to the St. Louis Business Journal’s 40 under 40 list in 2013 and its list of St. Louis’ Most Influential Business Women in 2015. 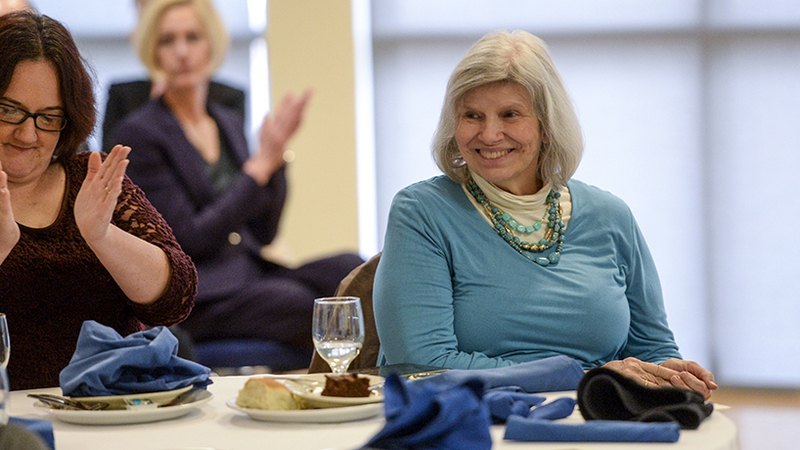 Boyer was the featured guest for last week’s Distinguished Speaker Series event, in honor of Women’s History Month, at the Blanche M. Touhill Performing Arts Center. 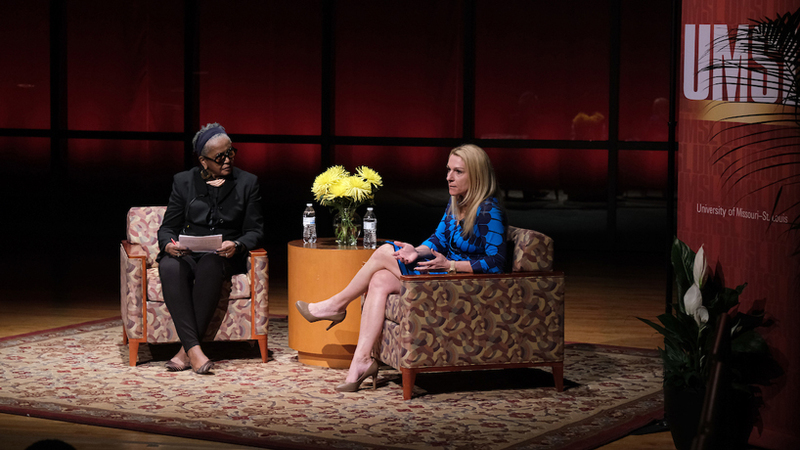 She delivered a talk titled “Relationships, Risks and Unknowns” and answered questioned in a session moderated by Malaika Horne, director of the Executive Leadership Consortium, in the E. Desmond and Mary Ann Lee Theater. Boyer landed the type of job she’d been hoping for after graduating when she accepted a position at BKD, but she’d only been there about a year when Handling & Storage Concepts – a company she’d worked for while at UMSL – reached out to see if she’d come work as its controller. The move to Handling & Storage Concepts wasn’t the only time Boyer made a leap in her career without knowing how it would end up. She made a similar decision when she left to take an accountant position – an apparent step backward – at The Jones Company. Her career benefited from the experience in the long run. Boyer stressed that building relationships requires more than what is typically thought of as networking. 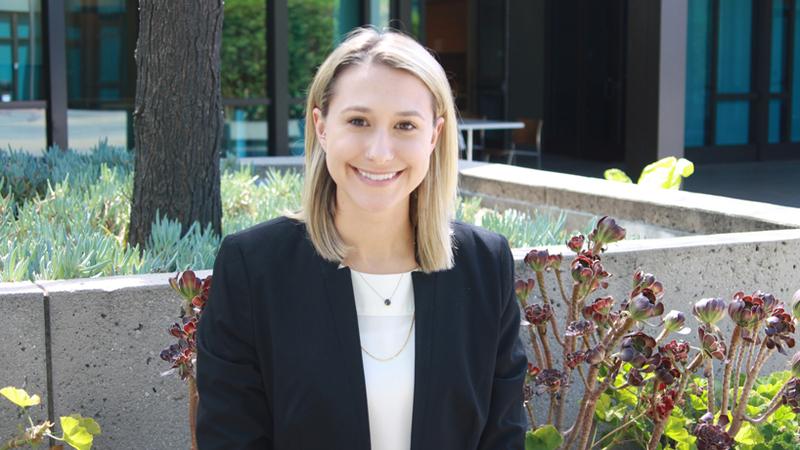 In her first job after graduation, at BKD, Boyer made a habit of showing up early and staying late in hopes of having more interaction with senior members of the firm. People are in a hurry to achieve big things, but Boyer believes it’s important to practice patience. Boyer volunteers her time as a member of the College of Business Administration’s Leadership Council, is a member of the board of directors of the Missouri Society of Certified Public Accountants and stays involved with The United Way of Greater St. Louis. She encouraged students to seek out similar opportunities as they develop in their own careers.